The Ministry of Production announced that Carolina Sánchez will assume as National Mining Secretary. The Natural Resources and Environment engineer in is the first woman to hold this position. The Minister of Production, Dante Sica, said that “the incorporation of Carolina Sanchez will aim to work with the idea of responsible and sustainable mining, which can provide macroeconomic balances at the regional and federal level, with an eye on the community and the creation of local employment “. The minister also stressed that in two and a half years investments have been announced for more than US$10 billion in the sector. 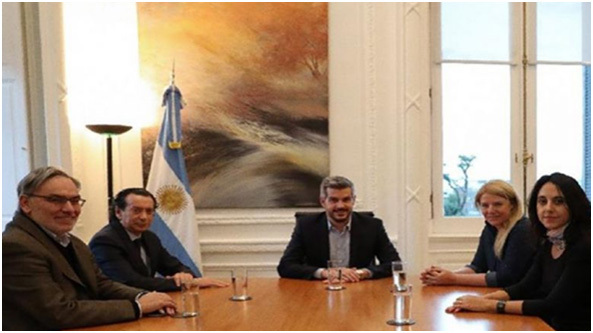 “We bet that Argentina, in five years, will become the main supplier of the most strategic mineral in the world, lithium. We have the conditions to become suppliers of 50% of this mineral, “he said. Before assuming the new position, Sánchez worked as Technical Director of the INTI Center (Jujuy). Previously, she was an advisor to the Ministry of Environment and Sustainable Production of the province of Salta, coordinating Provincial Environmental Engineering Programs and outstanding projects related to mining activity. She is a teacher and researcher at the National University of Salta; she participated in several International Cooperation projects and was a professional consultant for International Financing Organizations. The appointment was announced after a recent redesign of the Ministries of Energy and Production, from which the Mining Department became part of the second. Be the first to comment on "Carolina Sánchez, Argentina’s new Mining Secretary"